In many instances, an insurance settlement may be the best or only option that victims have to resolve a claim. In some cases, however, an out-of-court settlement may be more appropriate. However, it is important to understand that the same car accident can have two very different outcomes, depending on the option that the victim chooses. Limited property damage. 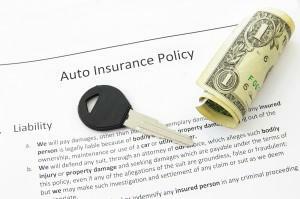 Most vehicle insurance claims cover the costs of repairing a car. However, if the vehicle is unusually expensive to fix or was completely totaled in the accident, you may not be entitled to receive the full value of your losses by agreeing to an insurance settlement. Minor to moderate injuries. If your injuries require little more than a couple of visits to your family physician and involve no additional costs, your costs can often be covered by an insurance claim.This includes costs such as lost time from work, the financial effects of permanent disability, or the need for daily assistance while healing. Quick settlements. In most cases, insurance providers are quick to offer a settlement to injured victims. However, once you sign the offer, the claim is permanently closed, and you will not be entitled to file a lawsuit even if you discover additional damages or injuries after the fact. It is often recommended to retain legal counsel to have an experienced attorney review a settlement offer before signing away your rights or taking another course of legal action. On the other hand, you may decide that you will likely not receive adequate compensation for your injuries if you agree to a settlement offer from the insurance provider. If you prefer to resolve the issue out of the court, an experienced attorney may be able to negotiate a fair and full settlement on your behalf by speaking directly with attorney of the other party. Many victims who opt for out-of-court settlements choose this route as they often result in larger monetary recoveries than insurance claims, making it a better option for severe, life-threatening injuries and other related concerns. The car accident lawyers at Van Sant Law, are offer free, no-obligation consultations to individuals who have been injured in vehicular crashes that have occurred due to the alleged negligence of another. We can quickly assess the benefits and drawbacks of each settlement option before a wrong decision results in unnecessary out-of-pocket expenses. We will work to help you seek the compensation to which you may be entitled. To learn more about your legal rights and to determine whether you have a valid claim, call us today at (678) 679-6710.